Calgary First Aid offers workplace approved first aid and CPR re-certification courses. These courses are designed for candidates that need to renew previous first aid and / or CPR certificates. All first aid renewal courses include CPR and automated external defibrillator (AED) certification. All stand-alone CPR re-certification courses include AED certification. First Aid and CPR Re-Certification. Standard first aid and CPR level “C” – This is a 8 hour course. Standard first aid health care provider CPR – This is a 8 hour course. Emergency first aid and CPR level “C” – This is a 6 hour course. Emergency first aid and CPR level “B” – This is a 6 hour course. Emergency first aid and CPR level “A” – This is a 6 hour course. Health Care Provider CPR and AED – This course 4 to 5 hours in length. 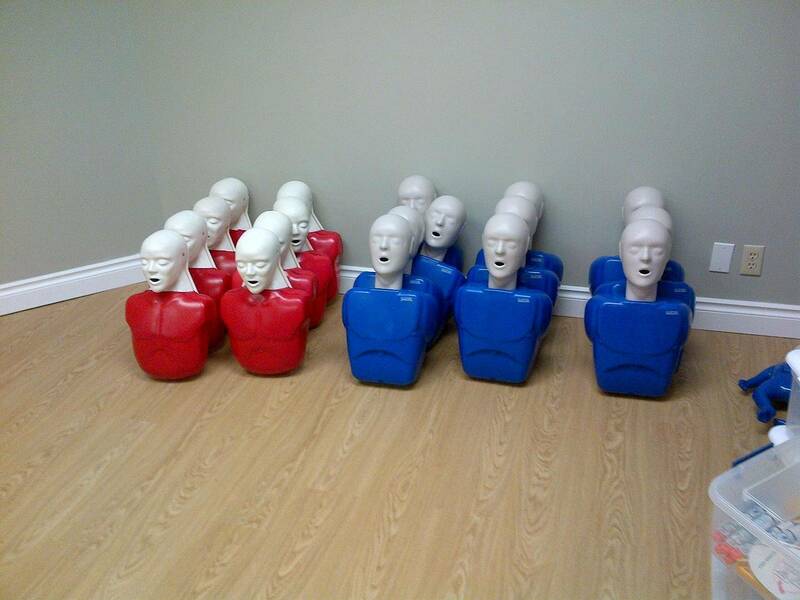 Candidates that enrol into our first aid and / or CPR re-certification programs will receive training in our comfortable, new and well maintained training centres. CPR level “C” and AED – This course is 4 hours in length. CPR level “B” and AED – This course is 4 hours in length. *CPR level “A” and AED courses do not have availalbe re-certification courses. Candidates must retake the full course to re-certify. Candidates must have completed a re-certification course or a full course within the past 3 years. Candidates must have completed the previous certification course through a credible provider. Credible providers include: St. Johns Ambulance, Lifesaving Society, St Mark James, and the Heart and Stroke Foundation. Certificate obtained via online courses will not be eligible for workplace approved re-certification. Candidates must have completed a re-certification course within Canada. International certificates are not eligible for a re-certification. Certificates are nationally accredited, not internationally. To register for a CPR and / or first aid re-certification course select the re-cert course of your choosing from the main menu or from the selection above. Select the course location, date and time of your choosing and complete the registration form. Pre-pay via our online payment system to be guaranteed a spot in the course. Calgary first aid offers first aid and CPR re-certification throughout Calgary in comfortable and convenient locations. On the course page you will have the option of selecting the course location of your choosing. Candidates must bring previous certification card to course to present to the workplace approved instructor.